What is it that attracts us to a particular aircraft? It is a bit like asking that well worn hackneyed phrase “how long is a piece of string”? Only you as a scale modeller can answer that one! There can be an infinite number of reasons and for me the Mew Gull captured my imagination upon reading Alex Henshaw’s “The Flight of the Mew Gull”.The book records his epic flight in 1939 from Gravesend to Cape Town a distance of some 6,377 miles much of which over hostile terrain at an average speed of 209mph. By any stretch of the imagination a great piece of Aviation History and a record for a single engine light aircraft which still stands today. The Gull series of aircraft was the brainchild of Captain Edgar W. Percival who was a Sopwith Camel pilot in the first world war. 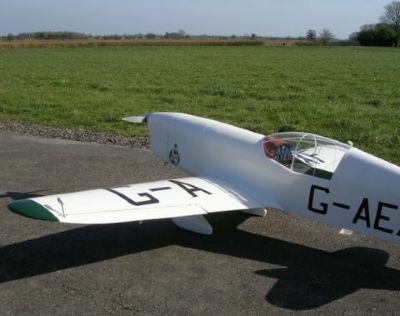 During the early 1930’s his aircraft designs were focused on the King’s Cup Races and it is interesting to note that with an uprated Gipsy Six engine the Mew Gull achieved speeds in excess of 270mph! 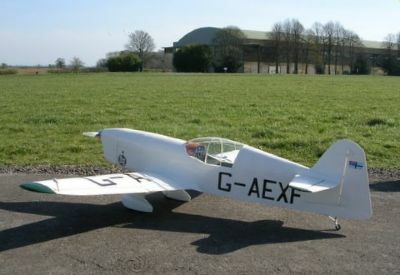 My early research led me to XF which was on loan to the Shuttleworth Collection at Old Warden. My telephone call to seek permission to take some photographs met a very polite response that she was no longer in their care and had been sold to the Real Aeroplane Company at Breighton Aerodrome in Yorkshire! So it had to be a weekend away. On arrival I met Barry Yeardley the airfield manager who promptly gave me the keys to the hangar and said “take as long as you like” – such Yorkshire hospitality. An added bonus was to fly in his syndicated Piper Cub. I was a little sceptical at the initial invitation as only a few hours before they had the engine in bits and had been making quite a racket in a corner of the airfield “running her up”. Anyhow the flight passed in an uneventful way although the decision was taken to fly south were there were some larger fields “just in case”! On landing and to my surprise my wife had returned from her shopping and was ready to climb on board but this time her pilot was ex Avro Shackleton captain who had spent a good deal of his time flying north of the Arctic Circle looking for Russian submarines so I guessed she would be in safe hands. The one quarter scale model is a slightly modified Skyway Models “plan/pack”. She spans 71inches and weighs 9.5 pounds and is powered by a Laser 80. I take no credit for the finished article which is the work of my brother in law Tony Grubb. 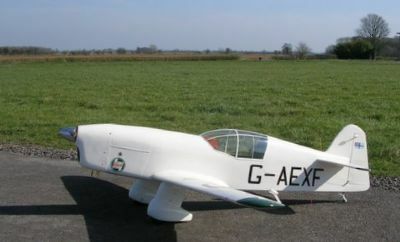 However I made up the kit of parts from the plan/template sheet and we spent many hours together working on the project. You will judge from the photographs but I think she looks every bit a “golden age” racer and encapsulates the spirit of that record breaking time in aviation history. 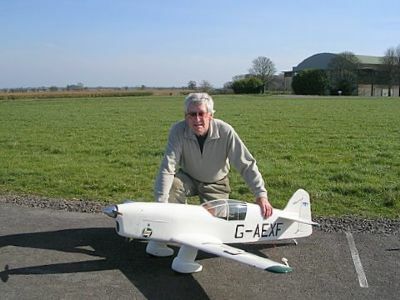 With the expert guidance of Alan King I made a successful maiden flight on Thursday 5th April 2007. 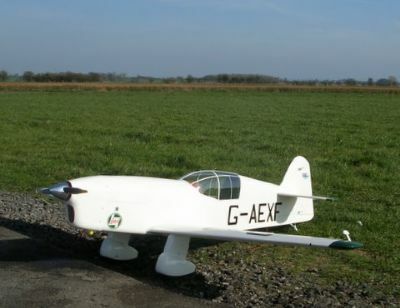 Andrew flies this model exceptionally well. 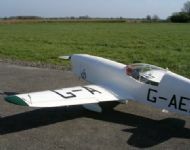 We hope to add some aerial shots as soon as we can get them. To see more info about the full size restoration, click on this photo.